A recent federal court decision is a good reminder that applicants or employees who currently use illegal drugs or marijuana or abuse alcohol are not protected under the Americans with Disabilities Act (ADA) or the Fair Employment and Housing Act (FEHA). Conduct is key: The disease of addiction may be protected but misconduct is not (Scott v. Harrah’s LLC. (D. Nev. 2017)). The case involved an employee of Harrah’s Hotel and Casino who had worked there about nine years. The employee informed management that he suffered from drug addiction and voluntarily sought treatment and rehab. Harrah’s accommodated his treatment program by adjusting his schedule. Harrah’s suspected that the employee was under the influence of drugs on several occasions after going through rehab. In November 2015, the employee went back to rehab. The next month, Harrah’s drug tested him, and the results came back positive. The employee admitted that he used marijuana a couple of weeks before the test. Harrah’s allegedly informed the employee that he was not taking rehab seriously and fired him. The employee sued for disability discrimination. The court dismissed the employee’s lawsuit on the ground that current users are not protected under the ADA. The employee claimed his disability was that he is a drug addict. However, the ADA protects only individuals with a record or history of drug addiction who are not currently using drugs and have been successfully rehabilitated. Employers can prohibit illegal drug and alcohol use in the workplace. “Current use” is broader than just using drugs on the day of a drug test. Courts have held that using drugs in the weeks and months prior to discharge qualifies as current use. The same rule applies under California state law: A disability under the FEHA does not include “psychoactive substance use disorders resulting from the current unlawful use of controlled substances or other drugs” (Government Code sec. 12926(j)). Furthermore, employers may continue to prohibit marijuana use in the workplace, even though it is now legal for recreational and medicinal purposes, since it is still illegal under federal law. HRCalifornia members can read more about drug testing using our How To: Oversee Pre-Employment Drug Testing in the HR Library. Not a member? 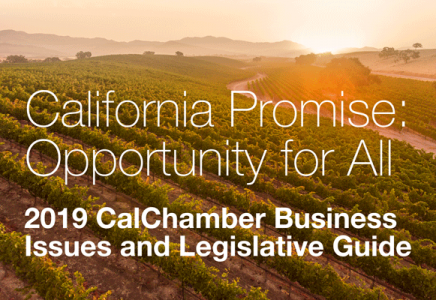 See how CalChamber can help you.